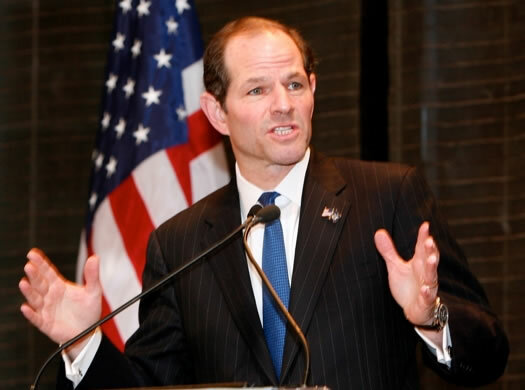 When the feds announced they wouldn't be prosecuting Eliot Spitzer for his involvement with prostitutes, headline writers in newsrooms all over the world probably couldn't contain themselves. Can't. Not. Make. Cheesy. Pun. nice...and the woman who was booking the appointments is looking at a lengthy prison sentence. Where is the cupability with regards to our elected officials? Are we simply so blinded (no pun intended for the current Governor) by soundtrack driven sitcoms and American Idol, that we really have nothing but apathy? These individuals STEAL from you...they should be accountable to YOU, and yet...no outrage...it's flabbergasting! "Spitz' Criminal Charges Get Swallowed"
I have it on good authority that Spitzer's girl was a spitter, or spitzer, not a swallower. Okay. So I get that the charges he's being cleared of are federal charges regarding use of public funds in the scandal. So he didn't use public funds, he's not guilty of that. I'm guessing he's still being charged for... what do they call it, "soliciting"? Any news on that?